ECPI is one of the leading providers of fiber optics training in Hampton Roads area of Virginia. We offer classroom hands-on and custom fiber optic training courses throughout the Mid-Atlantic Region. The ECPI/ETA Certified Fiber Optics Installer, Technician and Designer programs provide detailed instruction and practice of fiber optic installation techniques, fiber optic troubleshooting techniques, and Local Area Network fiber optic design. Successful completion of these programs will result in the trainee being certified from Electronics Technicians Association and awarded a Certificate of Completion from ECPI. Earn Electronics Technicians Association (ETA) certification and college credit at the same time. The Fiber Certification programs are also geared for commercial clients. Why do I need to get my certification? High Standards: ETA models its electronics certification exams after international competency standards. ETA is a member of the International Certification Accreditation Council (ICAC), which audits ETA’s programs on a 5-year schedule. Recognition: The National Skills Standards Board’s feasibility study concluded the ETA electronics certification programs were among the best industry certifications available. In addition, our Certified Electronics Technician (CET) program, along with many others, is one of the most widely recognized certification programs in the industry. Objectivity: All ETA certifications measure competencies of persons, not products or vendors. ETA’s programs are consistent with civil rights, anti-discrimination and fairness standards. Quality Control: Committees for each competency, made up of a demographically diverse group of ETA staff, educators, multiple national associations and subject matter experts (SME’s), provide input for, review and update examinations at least annually to comply with electronic industry standards. ECPI University offers a 24-hour Electronics Technicians Association (ETA) Certified Fiber Optics Installer (CFOI) training program. This course is intended to provide a more in-depth study of the topics related to Fiber Optics Installer Certification. 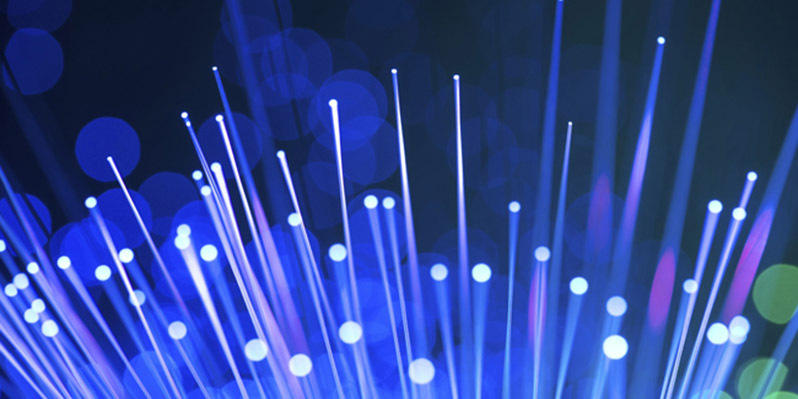 Students will be introduced to Fiber Optics to help them establish a basic understanding of the fiber optics industry and its technology, common terminology, fiber optic theory, and fiber optic components. ECPI University offers a 32-hour Electronics Technicians Association (ETA) Certified Fiber Optics Technician (CFOT) training program. This certification will provide the knowledge and skills needed to certify and troubleshoot fiber optic cable networks accurately and efficiently. Trainees will certify or troubleshoot different cable systems with a combination of fibers, connectors, and splices. These cable systems will be modeled on the most commonly occurring problems. The Certified Fiber Optics Technician course involves a shortened overview of the basics and more extended troubleshooting practice. ECPI University offers a 40-hour Electronics Technicians Association (ETA) Certified Fiber Optics Designer (CFOD) training program. This new optical designer certification will provide an in-depth knowledge of optical local area networks. This course covers all aspects of a successful fiber optic system design from network protocols, network configurations, optical cabling, industry communications standards, determination of fiber count, hardware selection, splicing/termination methods, and cable system testing and documentation. All that is learned in class is put into practice through multiple and intensive case studies.